Henna plant, Lawsonia inermis, is sometimes known as Egyptian Privet, Mignonette Tree and Mehndi. Powdered leaves of Henna are an ancient source of red-orange dye for hair and skin. Still widely used for the same purpose. A very ornamental shrub. Henna plant is native to Egypt, tropical India, Africa and Asia. It prefers light well drained soils in an open sunny position. Fragrant flowers are white, yellow or pink. Drought resistant but frost tender. 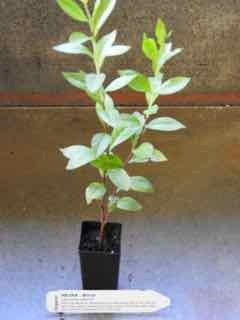 An evergreen shrub, growing to 3.5m x 2m.